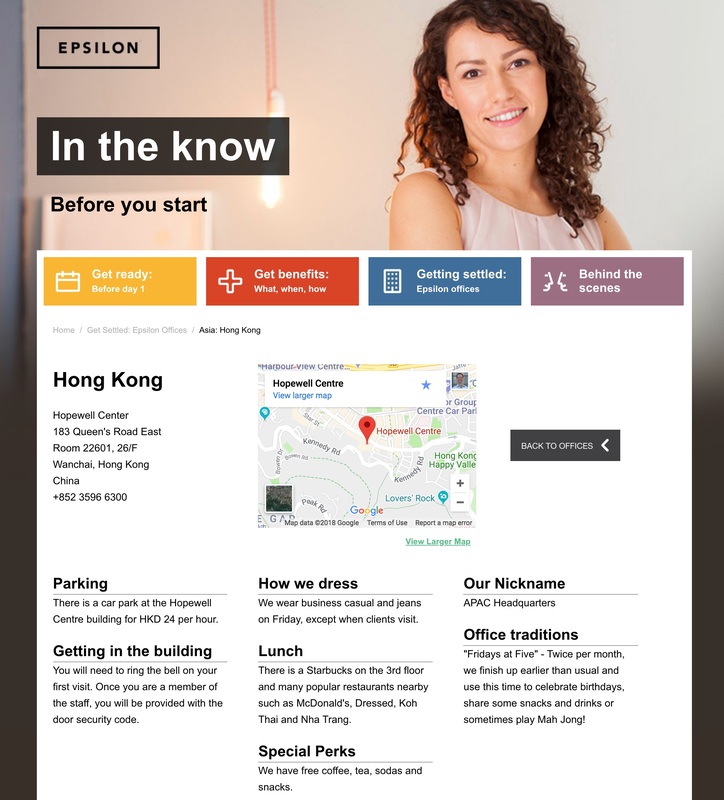 I stumbled across this terrific web page (below) by marketing leader Epsilon the other day: WelcometoEpsilon.com. 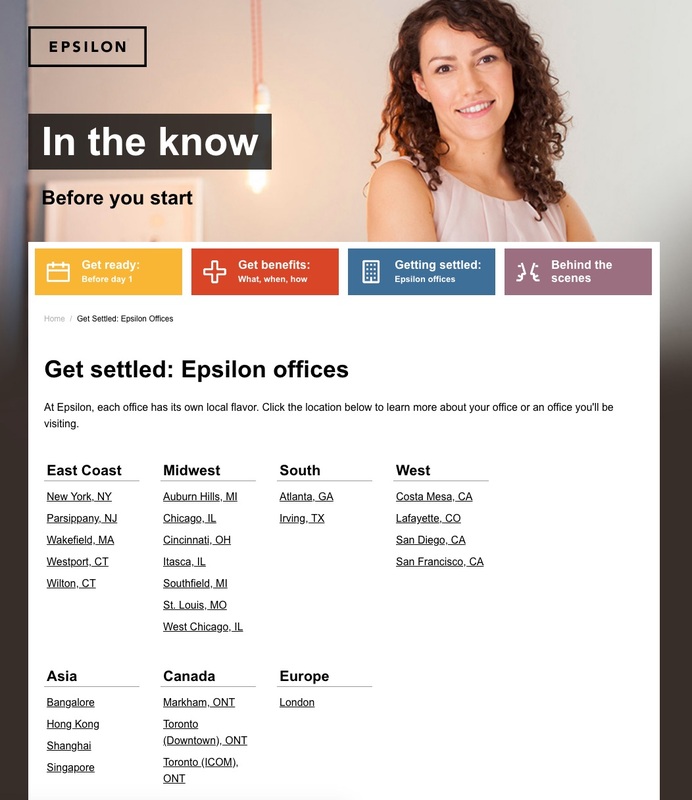 It’s a simple yet powerful example of effective candidate experience and employer branding for you employers with multiple locations. Epsilon is rolling out the red carpet for new employees (and candidates!) in every office with details about each location. This welcome page is of course useful to any new employee but it benefits candidates too. Candidates find the one page, for their desired location alone, a sense of the look and feel of that office. 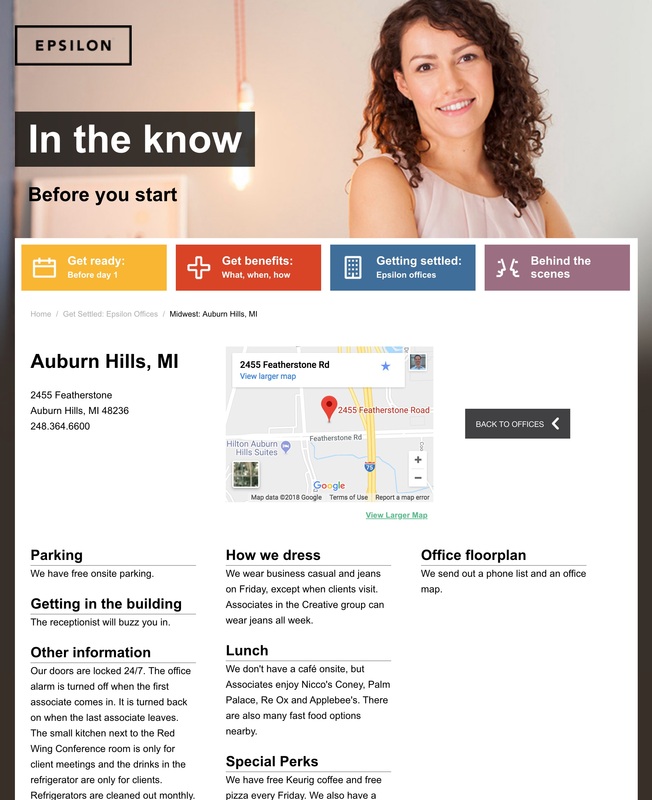 And they can review the different Welcome To location pages to see how the culture of the offices differs. When you’re recruiting candidates into multiple offices, it pays to differentiate between each office. Hong Kong’s office has a Starbucks in the building — very convenient! Afterall, no two offices (or cultures) are ever the same. Nice work, Chris Hanson, Matt Perry and the Epsilon leadership team!